We all make mistakes when it comes to maintaining our homes and our pools are not exempt. When caring for your pool a simple mistake while adding chemicals can take the pool out of commission for weeks. Unfortunatly however, mistakes in maintaining your pool occur both big and small. Large mistakes in caring for your swimming pool turn into valuable lessons to learn. Pool maintenance education is imperative to prevent mistakes and in turn your pool is safer, cleaner, and more efficient without extra frustration on your end. 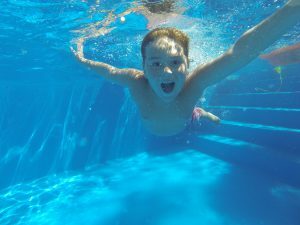 One of the biggest mistakes pool owners make is with the addition of a chemical commonly referred to as pool shock, a large dosage of chlorine. When dosages of chlorine are too high your pool water will essentially bleach out the color of your clothing. Although you technically can’t over-shock the pool it can cause issues with more than your clothing. Too much chlorine can lead to pitted plaster, vinyl liner discoloration, or brittle tile pieces breaking off. One way to ensure this doesn’t occur is to dissolve the shock chemicals in a bucket of water prior to shocking the pool. This allows the shock chemical to disperse more evenly throughout the water and in turn protects the pools finish. As a norm, in pool maintenance a good rule to follow is to dissolve chemicals thoroughly before adding it to the pools water. Another common mistake when owning a pool that homeowners make is that they don’t take the necessary time or care when brushing and vacuuming your pool. A good brushing pushes the build up out into the water and settles on the bottom of the pool and then can be vacuumed up. Take the time to brush behind all those hard to reach places like pool ladders, steps, and stairs. Corners, crevices, and water lines especially in plaster pools should be scrubbed really well. Pool chemicals are a huge source of the mistakes made by homeowners when caring for their pool. Your pools plaster can literally be destroyed if the chemicals in the water are not properly balanced. Don’t ignore your pools pH and alkalinity levels. A low pH indicates acidity and a high pH indicates alkalinity, too much of either one is bad for your pools plaster. 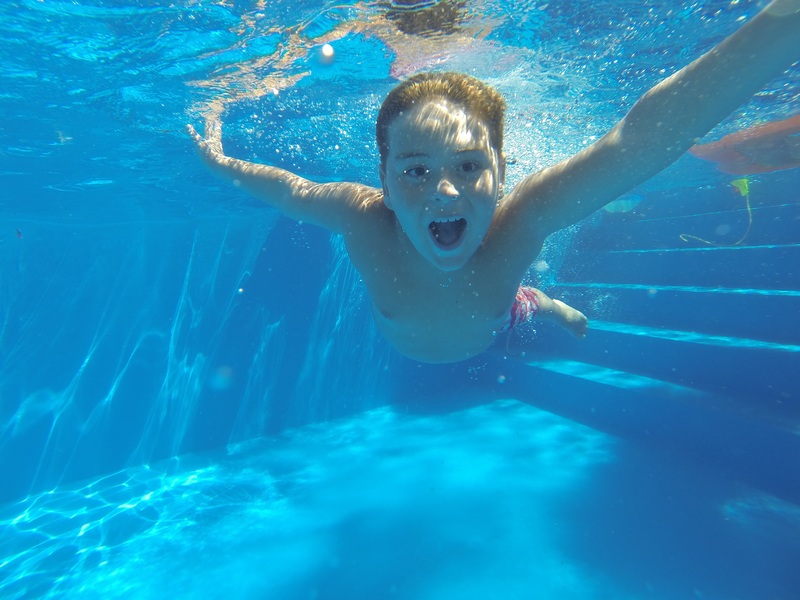 Too low of a pH can damage the equipment used in the pool such as a pool pump and filter, plaster or vinyl linings, heaters, automatic pool cleaners and more. Proper water chemical balance in a pool is easily accomplished by testing your pools water on a regular basis and making adjustments as needed. Pound Pool Plastering offers several options when it comes to servicing your pool including plaster, caulk, tiling, cement decks, plumbing, and coping in both commercial and residential settings. More information can be found at http://www.pound-pool-plastering.com/. Pound Pool Plastering cares a great deal about our clients and their concrete pools. We want to ensure that your plaster pool is finished with the utmost of care. Standard white plaster is a classic, timeless, look that many homeowners still choose today however, there are other options available that may change your mind. Plaster is made of a combination of white cement, white sand or a marble aggregate, and water. Professional pool builders use a flat, rounded trowel to apply the plaster to the concrete (Gunite) base structure. White plaster can be dyed different colors during the combination process if the homeowner desires. Plaster is a well-known material that has been used in pool design since the beginning of pool construction. As a pool finish, plaster is an inexpensive option that provides a simple, classic look to your in-ground swimming pool. The main disadvantage of plaster is that it can feel rough to the touch. As with any pool finish, plaster required regular surface maintenance to prevent algae build up. Once every three to five years plaster requires acid washing which removes staining. If a plaster pool is not maintained correctly it is prone to cracking however this is the same of many pool finishes. Plaster, if well maintained is durable, and can lasts upwards of ten years. An upgrade from a plaster finish is an aggregate which is a combination of pebbles instead of sand to cement, water mixture. Once the pebbles, concrete, and water are combined it is applied to the pool. The top later of plaster will be wiped away to reveal the pebbles. Although pebbles are a common aggregate material other material such as glass beads and quartz can be used. Aggregate finishes can be exposed or polished. An exposed aggregate reveals the whole pebble which provides a bumpy texture. A polished aggregate is polished flat and provides a smooth texture. Aggregate pool finishes, when maintained, can last longer than standard plaster finishes. Quartz finishes can last twelve plus years while pebbles can last some twenty plus years. Glass beads are small and soft on feet. The larger the aggregate material, the less comfortable it can be to walk on. Consider the last time you have walked into a rocky Great Lake; large rocks make navigation tricky to the feet. Smaller aggregate materials are less of an issue. If glass beads are used in creating the aggregate, it is common to experience some fading and discoloration. Pool tiles are created from several different materials including standard porcelain, stone, and glass. Some homeowners choose a combination of the three to create a unique pool design. Porcelain pool tiles can be glazed, textured, or hand painted. Porcelain tile is usually used around the waterline of the pool. Tile is the longest lasting material that can be used as an interior pool finish on concrete pool foundations. Tile is easier to maintain as well. Tile is costlier than plaster or aggregate which can add thousands of dollars to finishing your pool. Another disadvantage is that tiles chip and crack easy and if installed incorrectly can have sharp edges. The first 30 days after a swimming pool has been plastered are the most important. It is critical that the plaster is properly cured. This is done by maintaining a proper balance in the pool waters chemistry and maintaining it throughout the life of the pool. When starting up the pool the main objective will be to clean and get rid of the dust left over from the plaster while stabilizing and balancing the water that is in the pool. This article will give you a few things to consider if you are contemplating having the plaster on your swimming pool re-done or a new plaster pool installed. Before you begin to add water to a freshly plastered pool it is important to know the quality of the water. Believe it or not all water is not the same. The quality of the water in your home may not be the same as the quality of the water in the water spout outside of the home. The local source that you have for filling the pool may not be suitable. It is important to take a sample of the pools water to a pool retailer to have it analyzed. Write down the water’s chemistry for reference at a later date. After the pool has been plastered, the water has been tested, and the amount of water needed to fill it is determined it is time to fill the swimming pool. When filling the pool use a clean hose with a soft cloth tied to the end to diffuse the water so that it does not whip about and mar the freshly plastered surface. It will also catch debris coming out of the hose. If you are bringing water in via a truck note that a cushion of two feet is needed in the bottom of the pool. Water should be added quickly but in a manner that does not harm the plaster. If a pool fills too slowly cracks may appear. In order to avoid this the plaster should be added in as quickly as possible. The water may test substantially different once the pool has been filled. It is important to test the water and write the current water chemistry down. The pools water must have the correct chemistry to prevent staining or pitting. Calcium is especially important to the pools water chemistry. If the calcium is not maintained, it will pull calcium from the plaster which could cause issues to the plaster surface. In our next installment on pool plaster we will continue to discuss the steps involved in properly opening a newly plastered pool including: starting the equipment, adding in chemicals, and maintenance. Water freezes, it’s pretty simple. When the temperature dips below 32 degrees Fahrenheit the water in your pool will begin to freeze. When the water freezes it will expand. Water that is allowed to freeze and expand without any special treatment given to it can cause homeowners a lot of grief in the from of busted plumbing, plaster cracks, and more. The best way to prevent these issues is to follow a precise closing method when the season ends that includes draining the excess water from the pools plumbing. When winterizing your plaster swimming pool one key element that must be taken into consideration is the need for chemically balanced water. If the water is not balanced when you close your pool for the season there are a few issues that could arise including: build up and corrosion. If water issues exist when you close the pool they will still be there when the pool is opened next spring which can make the opening process more difficult. Stagnant pool water often “attracts” the growth of algae. Chemicals also help to eliminate issues with pool staining from dissolving metals that are not being filtered. Before the pool is closed down for the winter is crucial that homeowners not only take time to balance the chemicals in the pools water and include additives to prevent algae growth and staining. Not only is balanced water important but also clean water. The pool should be thoroughly cleaned and free of leaves, dirt, outside debris. Any outside material left within the pools water has the ability to leave unsightly markings on the pools plaster surface. Another step that is super important when closing your pool is the water level. The pools water level should be lowered below the skimmer and all plumbing, drains, and pool equipment should be drained. Once the pipes are drained it is important to use drain plugs to prevent the water from seeping back into the plumbing. DO NOT completely drain the water in your pool. This is especially true when it comes to plaster pools. Water needs to be kept in the pool to avoid under ground water from putting pressure on the plaster which would cause it to crack. Although having a pool re-plastered is common, it is not practical every year and is not financially cost effective to have done on a regular basis. There are many materials that go into building an in-ground pool. Few materials get as much attention as the pools plaster surface. Plaster is the exterior shell of the pool. It is the part that everyone sees and feels. It is also the first place that people usually notice when it starts to deteriorate, cracks become noticeable and discoloration is visible. Over the years we have learned some important tips regarding the maintenance and care for the pool’s plaster to keep it in top condition. Your swimming pool installer will add chemicals that are required to initially balance the pools water. They will then brush the plaster with a nylon-bristle brush which improves the quality of the plaster as well. This will also prevent the buildup of calcium and other minerals within the pools water. If you notice that you have fine sand grains deposited on the bottom of the pool this is more likely “precipitation” which is common with a newly installed pool or fresh plaster. Our recommendation is to continue brushing the pool twice a day for the first seven days. Your pool water and pH levels affect plaster. It is crucial to the longevity and health of your pools plaster. Pool water below 7.0 tends to erode & remove the smooth plaster surface. Water that is above 8.0 contributes to the formation of scale and stains. Calcium is another one of the key elements found in both your pool water and in your plaster. A proper calcium balance is 250 ppm. Too much calcium will cause deposits on the plaster of your pool. Not enough calcium in the water may weaken the plaster. Dissolved Metal: Stains that cannot be removed with bleach are generally stains caused by metal. When the water becomes saturated with any metal, like copper or iron, it will generally “precipitate” or fall out of solution in the form of a metal stain. Copper stains usually reveal themselves as blue or blue-green splotches or streaks. Iron will usually appear brown to black. Check with your local pool specialist to purchase chemicals to help prevent these types of stains. Mottling: Mottling can occur naturally in pools. It is more evident in pools with colored plaster but not more prevalent. There are strategies that can be put into place to lessen mottling including sequestering, chelating, or pH and calcium reduction. Organic Stains: Plants that are near the pool area can often cause your plaster to become stained with tannic acid, which are brown, and chlorophyll stains, which are green. Organic stains will not remain long due to the Chlorine bleaching them out. Much like nearly everything that’s used every day, swimming pool interiors age and wear out over time. They lose their grandeur and slowly, they begin to appear unattractive. And, while an ordinary individual will most probably resort to the standard pool plastering options, a smart, savvy fellow will not settle for less. There are many varieties of pool and spa plaster options to choose from, thanks to the plastering companies’ pursuit to offer more attractive alternatives. From those with colored aggregates to those featuring polished aggregate surfaces; nearly all of them add visual interest while providing the durability it’s needed. So, if you are looking to plaster or re-plaster your swimming pool, carefully consider the following options. A classic pool plaster regularly incorporates white cement, a marble aggregate or the same color and water. And, that’s why you will love the emanating brilliantly clean surface. This option is often revered as the most economical option for pool surfacing. When various color pigments and dyes are added, the homeowner automatically gives the pool a brand-new, cool look. It could be from a classic light blue look to any other shade, including a midnight blue hue. Tahoe Blue is a term that describes the most economical choice for many and perhaps a preferred pool color, although it takes an effort to attain it. Added to the mix, a Silicone shield not only gives the pool a million-dollar look, but also extends its service life. In fact, a great feature with this product is the ability to enhance the pool’s durability while ensuring that the crisp look is never lost. Pool plastering can take into consideration a host of dying options. The dye is added to the mix, of course, in varying quantities and then used in plastering. While there’s no problem using as many different colors as possible, attaining the uniformity needed isn’t a mere feat. And, it takes lots of skill and expertise to get dramatic results. For a better flair and ultimate results, colored ceramic coated sand often comes into place. The colored quartz chips create visual interest while offering more color choices, and makes the pool last longer. The petite substances can withstand chemical deterioration too. As much as they dramatically improve the working of the plaster, Pozzolans don’t alter the way your pool’s plastering looks. However, it preserves the plaster, protecting it from etching and mottling. In the end, the pool’s surface will be smooth and durable. Pebbled type surfaces – round polished colored aggregates, they are manufactured in diverse industries. Polished aggregate surfaces – crème of pool covers, this option blends longevity, color, uniformity, and variations to offer what every pool owner probably yearns for. Painting and fiberglass aren’t the finest options and need lots of research and studying before they’re used. However, everything depends with how you loving the look of your pool. There are a number of options when it comes to surfacing the interior of an inground swimming pool however plaster remain at the top of the popularity poll. Pools range in color from classic white to a multitude of colors that suit that compliment the landscape. Plaster remains an affordable option in pool finishing. It is typically applied over a concrete base, known as gunite. Pricing for plaster pools varies a great deal depending on where you are located. When you look into hiring a company to plaster your new pool or to re-plaster an older pool there are a number of things to consider. It is important, like in any home improvement project, to check contractor’s references before hiring them. Ask to talk with individuals that have recently worked with the company to get their opinion on the work that was done, the customer service, work ethic, and professionalism. Be wary of taking the lowest bid. Be sure that the bids are all on an equal playing field. Make sure all bids include the cost of materials, services and extras. You need to be comparing bids based on an equal basis. Lower bids may be the result of a contractor using lower quality materials that in the long run will affect the quality and longevity of your pool. The most basic option in pool plaster, as stated above is, white plaster which is a combination of white cement, white marble aggregate and water. This choice is the standard option that is included in most inground pool installations. The classic swimming pool look including white pool plaster is the most affordable option for homeowners. Before the numerous options available now-a-days white plaster was the only choice. White plaster is seen in most commercial swimming pools. The advantages of white pool plaster include that it is abundant, affordable and easy to install. This is why it is such an attractive option. The one drawback is that it tends to be a soft finish that is easily compromised by the effects of improper water chemistry in comparison to newer options such as aggregates and glass tiles. Usually white plaster has a life span of five to seven years before homeowners will begin to notice pits and divots caused by erosion. To expand the lifespan of your white plaster pool it is important to maintain the waters chemistry. In our next installment on pool surface finishes we will look into options including colored plaster, quartz additives and glass tiles.